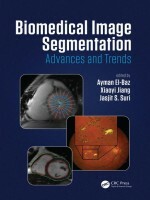 As one of the most important tasks in biomedical imaging, image segmentation provides the foundation for quantitative reasoning and diagnostic techniques. A large variety of different imaging techniques, each with its own physical principle and characteristics (e.g., noise modeling), often requires modality-specific algorithmic treatment. In recent years, substantial progress has been made to biomedical image segmentation. Biomedical image segmentation is characterized by several specific factors. This book presents an overview of the advanced segmentation algorithms and their applications.